The VK56DE engine appeared in 2003 as the power unit for the Nissan Armada model at the US market. The engine is made in the USA. The 5.6-liter engine was produced together with smaller versions - the VK45DE and the VK50VE. The VK56DE is based on the VK45DE and have some differences. The cylinder block height was increased up to 232 mm, the bore - from 93 mm to 98 mm. The engine has 154.2 mm connecting rods and new pistons allowed to reduce the compression ratio to 9.8. As a result, the engine became more traditional torquey V8 for large SUVs, pickups and other heavy vehicles. The engine has aluminum cylinder heads with four valves per cylinder and two camshafts. 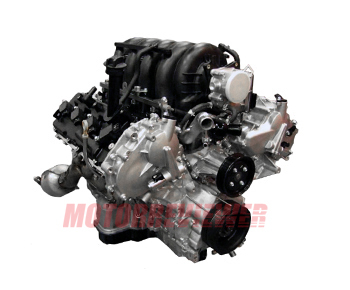 Intake camshaft has Continuous Variable Valve Timing Control system (CVTCS). The engine is equipped with hydraulic tappets/lifters. Timing chains are a weak part of this engine. The manufacturer also produced another version of this engine - the VK56VD engine. The VK56VD is more technologically advanced. It uses direct injection fuel system, variable valve timing system on both camshafts and VVEL system (Variable Valve Event and Lift). 1. Torque losses and unstable idling. The problem is front catalysts. Low-quality fuel makes them useless. The dust from destroyed catalysts penetrates inside the engine cylinders. If it happened, well, you need a new engine. 2. The VK56 engine has unreliable fuel injection pump. Its life is about 50-60,000 miles. 3. Keep an eye on the condition of the cooling system, because the engine is inclined to overheat.